Discover the powerful, unique and very practical martial arts system for Adults. Find out why all women M.U.S.T take this self-defense course! Thanks for the really great experience! I really enjoyed the variety of techniques you showed me, and I think the best part was the scenarios that we worked on at the end of both lessons. I think the part I liked the least was how short the sessions were,since it seemed like we were trying to cram a lot into such a small time slot, despite going overtime. 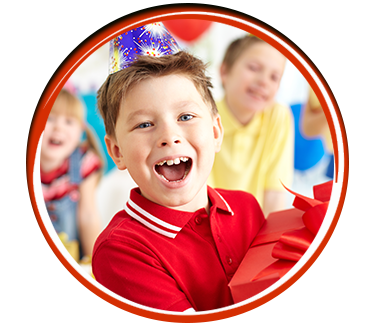 Our Kids Birthday Parties are fun, unique, memorable and well organized. We do everything from invitation to clean up! I have attended kids birthday parties in the past and never seen one this organized. My son had so much fun and his friends did too! Thank you Martial Arts International Team for job well done. The M.U.S.T. Self-Defense Program is a personal safety and self-defense program developed with “women” in mind. It is designed and customized to work for your size, age and strengths. It requires very little training and is very easy to use. It’s a complete safety-training program…. There are honestly countless other benefits kids get with martial arts. Martial Arts International has been serving the Bellevue and Omaha communities since 1988 . With the many years of experience as Omaha martial arts school, comes pride, prestige and integrity. We proudly serve as Partners in Education with Bellevue & Papillion/ La Vista, Public Schools. We don’t leave physical safety to chance. We maintain a high standards of cleanliness in our facilities and make sure that they meet modern safety standards. All members of staff go through rigorous background checks before they are allowed to work with students. When our members join Martial Arts International, they aren’t just committing to picking up and dropping of their kids a couple times a week. They are investing the well-being of their children in the hands of our instructors and our school. 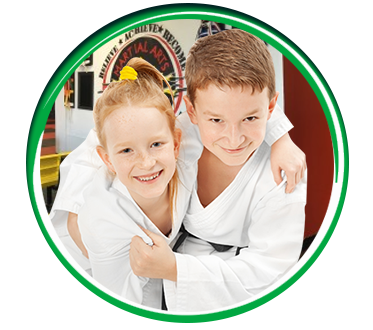 Joining Martial Arts International is a family affair and we offer a family-oriented environment for you and your children to make new friends and train with the old ones. We also understand that life can’t always conform to a rigid schedule. We offer flexible training classes 5 days a week to better fit a busy schedule. We even offer special programs designed for individual training and students with different martial arts interests. We expect our students to succeed and provide the best environment to make success possible. We have a built in system of self-motivation and goal setting in all of our programs in order to keep our students on track to become leaders. Our professional instructors are highly qualified, motivated, skilled and up-to date on properly teaching martial arts to students of different ages. Our students get the highest quality of instruction from our friendly instructors, Our parents and students love the fact that we keep our instructor to student ratio to a maximum of 10 students per Instructor. Most of the time, even less! We instill a positive and enthusiastic “yes I can” attitude in our instructors and expect courtesy, respect, and discipline as the keystone of our school. We train our Instructors to give competent, clear, and detailed instruction and to bring out the best quality from every member of our school . Our Omaha Martial Arts International school doesn’t just serve kids. We also offer a variety of programs to adults ranging from traditional martial arts training to self-defense and private training classes. We offer an excellent self-defense age-specific programs that is based on practical self-defense in real life situations as well as a self-defense program specifically designed for men and women of different sizes. We work hard to ensure the effectiveness of our programs through investment in our staff and students. Our goal is first and foremost to provide an effective program aimed at creating leaders in both martial arts and the community-at-large. We are confident in our abilities to meet those goal and therefore offer a guarantee, in writing, that we will be successful. Our mission is to enhance our community and its citizens through positive personal development skills produced by our training. We endeavor to provide a safe haven of positive energy and support for our students’ mental and physical growth. We work to inspire personal excellence through our example as black belts both in and out of our schools. Our goal is to ensure the long-term growth of our schools and our team by providing legendary service to our students. The purpose of Martial Arts training is three-fold. First, it is for self-defense. We protect our lives and possessions from injustice and danger. Second, it is for health. We promote our physical and mental health and enjoy strong bodies and sound minds through rigorous training. Last, but not least, Martial Arts training will make you a better person. We strive to be of better character through self-defense, discipline and respect. 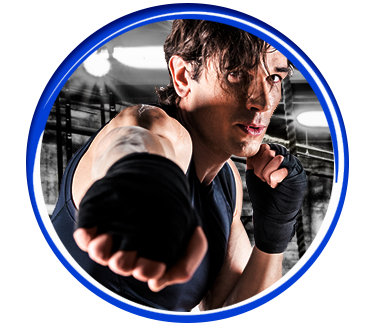 We invite you to come and visit our facilities and start benefiting from one of our outstanding martial arts and fitness programs.